Pinterest is a great option for the e-commerce shop owner with a product to sell. You could argue that it is an even better option than the social giants we have come to know and love. According to an infographic Shopify published earlier this year, referral traffic visitors coming from Pinterest are 10% more likely to buy something than those coming in from popular social networking sites like Twitter and Facebook. The usual suspects of the social media space are great in their own right, but with these sites, it is very easy for small businesses to get drowned out by the activity of the bigger brands. Pinterest and its visual juiciness gives you the opportunity to stand out regardless of the competition. All you have to do is be creative. Feel free to call on these five tips when using Pinterest to drive sales for your e-commerce site. Browse Pinterest, and you will see that there are quite a few e-commerce sites pinning thumbnails of the products they sell. Not only can you do the same, you can add prices to those products to let interested users know exactly how much they cost. By adding a price, you easily separate the window shoppers from the serious shoppers who come in knowing what they want. You can also display your products in other ways. For example, you could fill a board with images showing how a new item in your store evolved from concept to the product that is now available for sale. Clever tactics such as this can make sure you stay a step ahead of your competitors. Are you using video to promote your products, brand, or company? If so, then Pinterest is the perfect place to share them. A lot of people think this site is strictly image-driven, but it is video friendly as well. Best of all, sharing video content on Pinterest is a breeze. All you have to do is click the “Add” button, choose your video, select the board you want it displayed on, “Pin It”, and you’re done. Pinterest allows you to add video from YouTube or your own source, so if you have a YouTube channel or images you’re hosting somewhere else, there is no reason not to take advantage of this luxury. Pinterest is not like other social networking destinations. There are no status updates, comments, or private messages. With that said, it still has a personal element that is arguably stronger than any of the other social networks. This particular site makes is fairly easy to lower the mask and reveal the person (or people) behind the pins. If Susan, your social networking director, handles all the pinning for your company, allow her to share a bit about who she is and what she does with your audience. 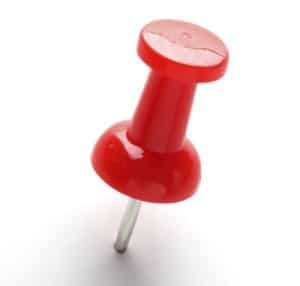 Another way to personalize your Pinterest strategy involves your actual pins themselves. Photos of your team hard at work in the office or even not so hard at work in the cafeteria could help boost sales by reinforcing your brand’s identity and strengthening existing relationships with audience members. Sure. Your goal is to get more people to your e-commerce site and sell more products. Even though Pinterest is unique, you must still approach it with the mindset of putting the onlooker’s needs above your own. You give them delicious content to sample, and they’ll eat up and may even share a few pieces with others. Dedicating a board or two that allows customers to express their personality isn’t a bad idea, either. Having a difficult time connecting with your target audience on Pinterest? Don’t hesitate to call on your existing contacts. Your customers, email subscribers, and social connections may be more than willing to help you get the ball rolling. Unfortunately, Pinterest doesn’t have its own built-in analytics system, but you can use a free tool like Google Analytics to measure your performance. Armed with your web analytics software, you should be able to see exactly which products led to referral visits. This information can then be used to deliver content audience members are most likely to respond positively to. How are you guys using Pinterest to drive more attention and traffic to your products? This thing is still new so we would love to hear some tactics you used successfully (or unsuccessfully), or potentially effective techniques you think might work. Author Bio: Aidan Hijleh is a freelance copywriter and serves as the Non-Profit Partnership Liaison for Benchmark Email. Aidan advocates free email marketing services to assist with the flourishing of grassroots organizations.